The RearViz Universal Camera Mount is a fully-rotatable, wearable mount for action cameras. Better known as the Uni Mount, this versatile sports product is compatible with Go Pro, Sony, Toshiba, Kogan and many more action cameras. It is an arm-mounted, fully rotatable Universal Camera Mount designed to provide hassle-free action camera photography for users. With high quality, weather-resistant materials, the RearViz Uni Mount Universal Camera Mount is perfect for surfing, snowboarding and many other sports. Simply attach your Go Pro or compatible camera to the Uni Mount and strap the mount anywhere from your arm, leg, board or bike. The Uni Mount has a 360 degree rotatable mount, giving users the ability to record smooth footage from unique, close-up angles. This lightweight innovation is perfect for any adventurers of any sport as it sets in seconds without tools and includes an easy-fit quality armband to adapt to any kind of activity. 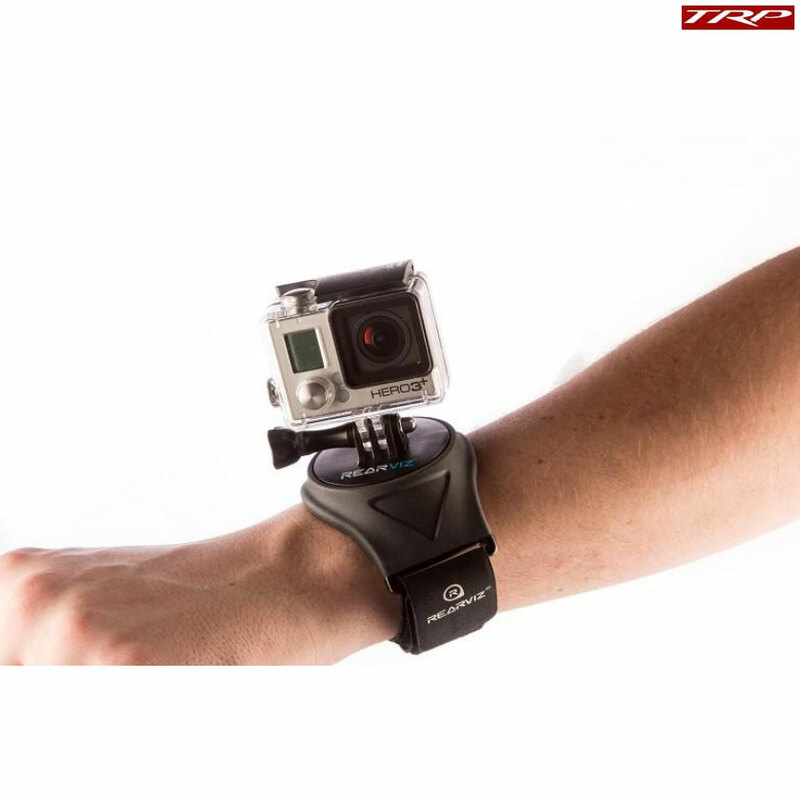 This is a must-have for action camera users! - Compatible with: GoPro, Shimano, Toshiba, Kogan, Rollei, Garmin, Muvi etc. The Sport edition of the RearViz Uni Mount has a wide, flexible plastic housing making it more durable and comfortable to wear for long periods. As the plastic is pliable this enhances comfort allowing users to wear their action camera anywhere on their body and easily adapt to any activity. The Sports edition has a 2-year UV resistance guarantee so you can be sure that this product is highly durable in various conditions.